Going into the season, three guys seem to be the forerunners in the early race for the favorite to be Player of the Year in the Big Sky Conference. There is the reigning champion, Kareem Jamar of Montana. There is the best player on the best team, Davion Berry of Weber State. 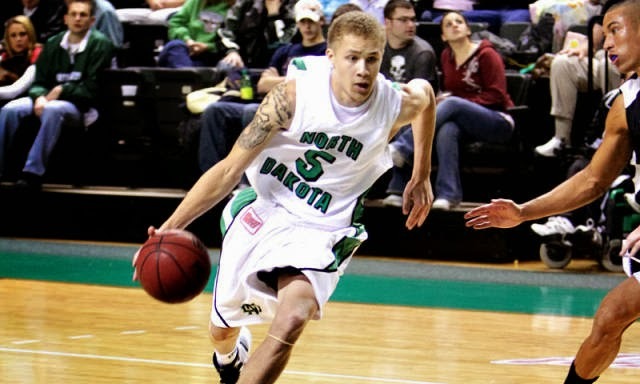 And there is the most explosive player, Troy Huff of North Dakota. You could pretty easily make an argument that any of these guys should be the favorite going into the season, and you wouldn't necessarily be wrong. So, let's take a look at these guys' case. Argument for: He does more things well than anyone else in the conference. This season, it wouldn't be a surprise to see Jamar lead the Grizzlies in points, rebounds, assists, steals, and blocks. He has always been a good three-point shooter in his career, and he supplements that by being a very good post player. He is one of the best passers in the conference, and had a 26.1 Assist Rate last season. He is a solid rebounder who had a 16.3 DR%. He is an efficient scorer that takes good shots, and had a 58.8 True Shooting percentage last season. Argument against: He can sometimes be so unselfish that he can blend in a bit. Last year when Will Cherry was out to start the year, they arguably needed Jamar to score more, but his game stayed the same and he was not more assertive offensively. I'm not sure yet how he will do as the main focal point of the offense without guys like Will Cherry or Mathias Ward around him. His TO Rate last year was 20.9, which is a little bit high for an elite guy. Argument for: Like Jamar, Berry excels in many areas. He shot 52% on twos and 41% on threes last year, while also getting to the line a ton, making him one of the best and more complete scorers in the conference. He has an excellent midrange game. He posted a 23.1 Assist Rate last year, and his 15.7 TO Rate was solid. He is a solid defender. With the talent around him, he seems to have a good knack for knowing when to get his own shot and when to find a teammate. He is the best player on the most talented team in the conference. Argument against: He is the worst rebounder of the three (1.7 OR%, 13.1 DR%), though he is the only one that has someone like Joel Bolomboy snatching up all available rebounds. 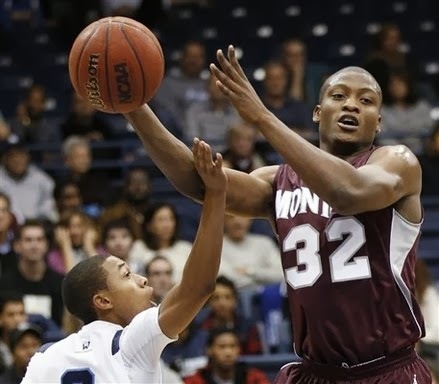 He struggled against Montana in the Big Sky title game, shooting 4/10 from the floor and 3/6 from the line while turning it over five times, which some voters might remember (it's worth noting he had some excellent games in the postseason after that Montana game). With the talent around him, he doesn't have to do as much, which could be a reason his efficiency numbers are as good as they are. Argument for: He might be the most athletic player in the conference (just watch this), and can do things that Berry and Jamar cannot do. He bumped up his three-point shooting percentage from 20% to 36%, and another bump would make him extremely difficult to guard offensively. He excels in transition. He may be the best rebounder of the three, or at least on par with Jamar. His TO Rate of 13.2 is excellent, meaning he takes care of the ball very well. His steal percentage of 4.4% led the conference, and he could be a defensive POY candidate. Argument against: Even though he scored more points per game than the other guys, that was more a product of volume than efficiency. His true shooting percentage of 52.6% was far lower than Jamar and Berry, as he only shot 66% from the free throw line. He is also not nearly the passer that the other two are, with a 10.1 Assist Rate (note: it was 16.3 his sophomore year). However, as you can see, a reasonable argument could certainly be made for any of these guys. How do you see them?